Notre Dame will host Virginia Tech WR transfer Eric Kumah on Feb. 23rd as he will to do a graduate transfer. 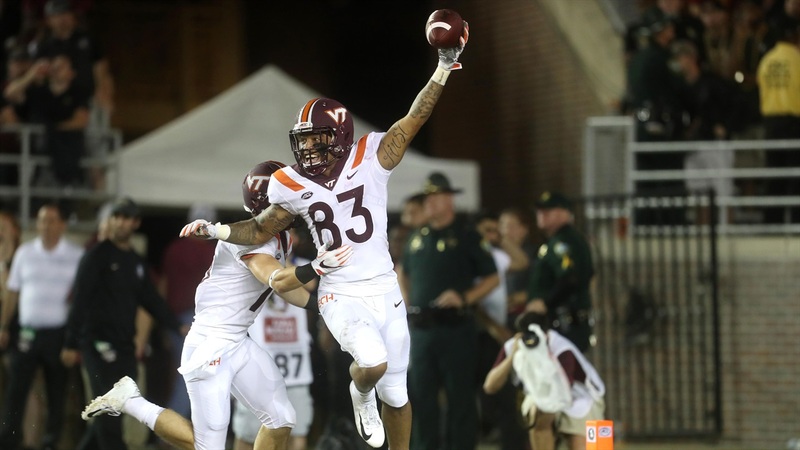 The 6-foot-2, 225-pounder recorded 70 catches for 883 yards and nine touchdowns the last two seasons for the Hokies. The Virginia native recorded four catches for 48 yards and one score against Notre Dame in October. Kumah will also be at Texas Tech on March 30th and Penn State on April 6th for official visits. The former three-star prospect held offers from Boston College, Illinois, Indiana, James Madison, Kentucky, Maryland, Miami, Navy, NC State, Northwestern, Old Dominion, Pitt, Temple, Tennessee, Vanderbilt, Virginia and Wake Forest coming out of high school.